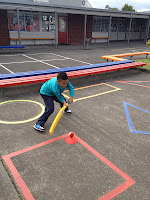 We have been having lessons with Peter from Auckland Cricket. 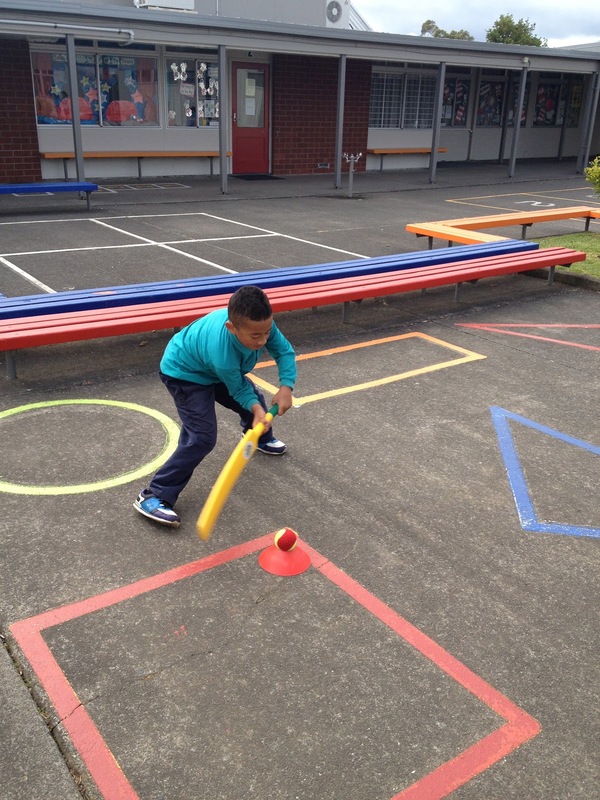 He has been teaching us to bowl, bat and catch a cricket ball. We have been having heaps of fun. 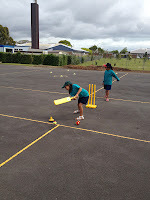 It is too cold and wet to play cricket here in Bedford at the moment. We have had floods and very windy weather. 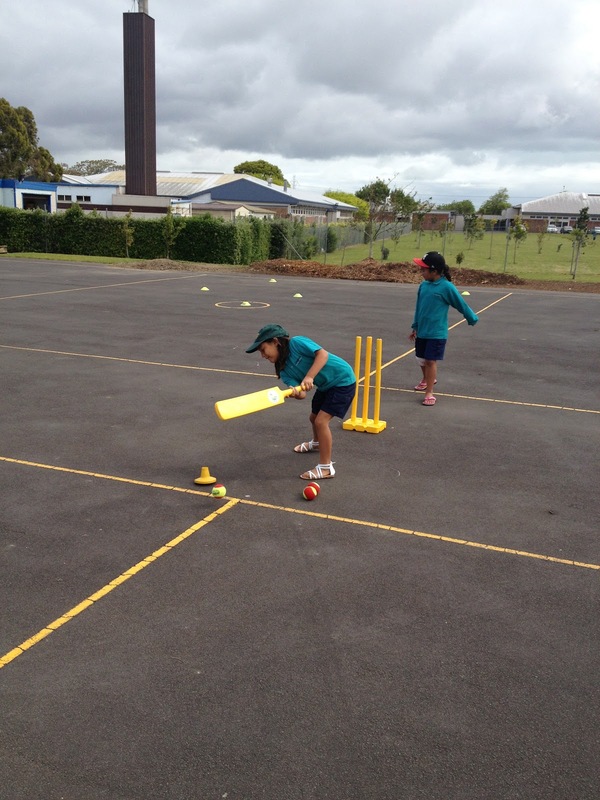 We can only play cricket in the summer - between May and September.